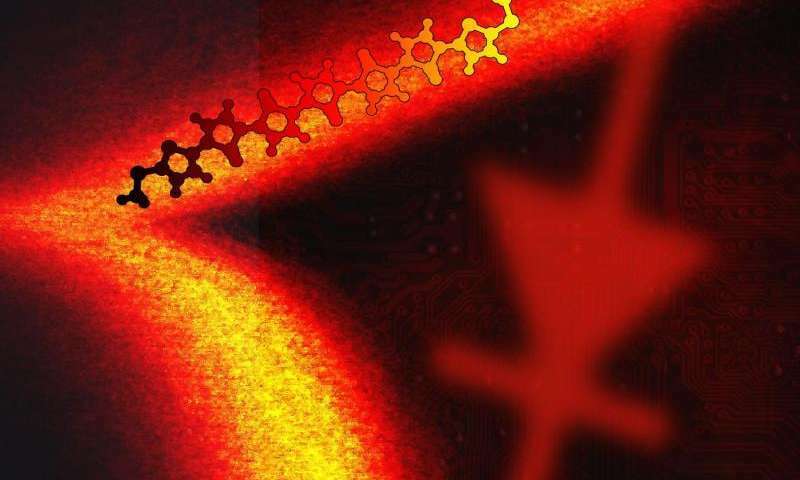 A team of researchers from Berkeley Lab and Columbia University has passed a major milestone in molecular electronics with the creation of the world's highest-performance single-molecule diode. 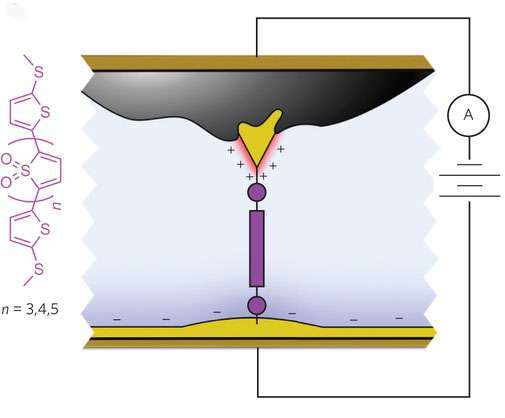 Working at Berkeley Lab's Molecular Foundry, a U.S. Department of Energy (DOE) Office of Science User Facility, the team used a combination of gold electrodes and an ionic solution to create a single-molecule diode that outperforms the best of its predecessors by a factor of 50. Neaton, Venkataraman and Campos are the corresponding authors of a paper describing this research in Nature Nanotechnology. The paper is titled "Single-molecule diodes with high rectificationratios through environmental control." Other co-authors are Brian Capozzi, Jianlong Xia, Olgun Adak, Emma Dell, Zhen-Fei Liu and Jeffrey Taylor.